Svapnavāsavadattam of Bhāsa is one of the masterpieces of Sanskrit Drama. Considered among the finest specimens of development of plot, sentiment and character, this drama is hailed as the best creation of Bhāsa. Svapnavāsavadatta is a 6-act drama focussing on the love between the Vatsa king Udayana, and Vāsavadattā, the princess of Avantī. The king’s minister, Yaugandharāyaṇa, hatches a plan to get Udayana married to Padmāvatī, the princess of Magadha, so that Udayana can get back his kingdom with the help of the Magadha king. Knowing that Udayana will not look at another woman as long as Vāsavadattā is alive, Yaugandharāyaṇa creates a situation in which Udayana is made to believe that Vāsavadattā was killed in a fire. Vāsavadattā in disguise is placed under the care of Padmāvatī herself. Udayana marries Padmāvatī and regains his kingdom. In the end, Vāsavadattā is happily reunited with Udayana. The drama derives its name from the famous dream scene in the fifth Act, where Udayana is talking to Vāsavadattā in his dream, while the real Vāsavadattā is answering his questions. It is a beautifully crafted scene, demonstrating the lasting affection between the two protagonists. 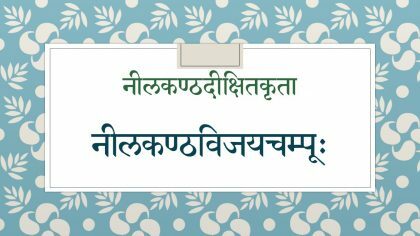 Svapnavāsavadattam is prescribed in full for the first year of Prak-Shastri of the Rashtriya Sanskrit Sansthan. 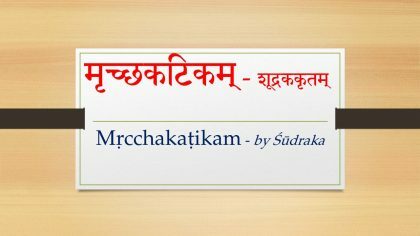 These audio lectures by Ms. Visalakshi Sankaran explain the entire drama in simple Tamil. 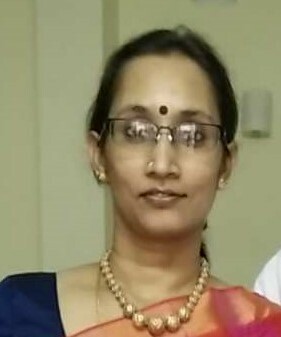 Ms. Visalakshi is a passionate teacher of Sanskrit literature, who has contributed many courses to this portal. She is adored by her students for her passionate exposition of each text, her insightful explanations, and her command over the language.